The Iriedaily Dock36 Worker Jacket drives you directly to the shores of river Spree, where Kreuzberg's workers used to grind. The colourblock jacket with a high-closing collar lets you feel Berlin's history, three attached flap pockets with integrated zip pockets represent a casual work-class look. 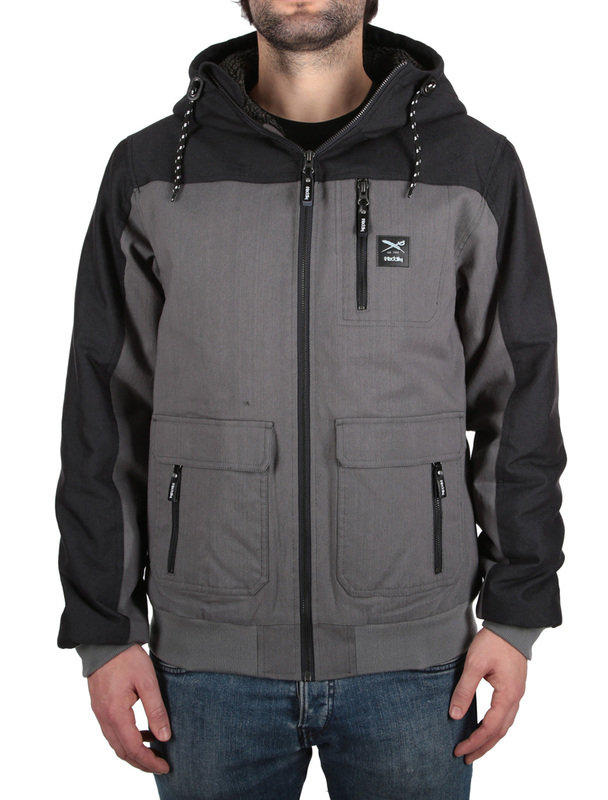 The lined hood with drawstring and soft teddy-lining keeps your ears and body warm. 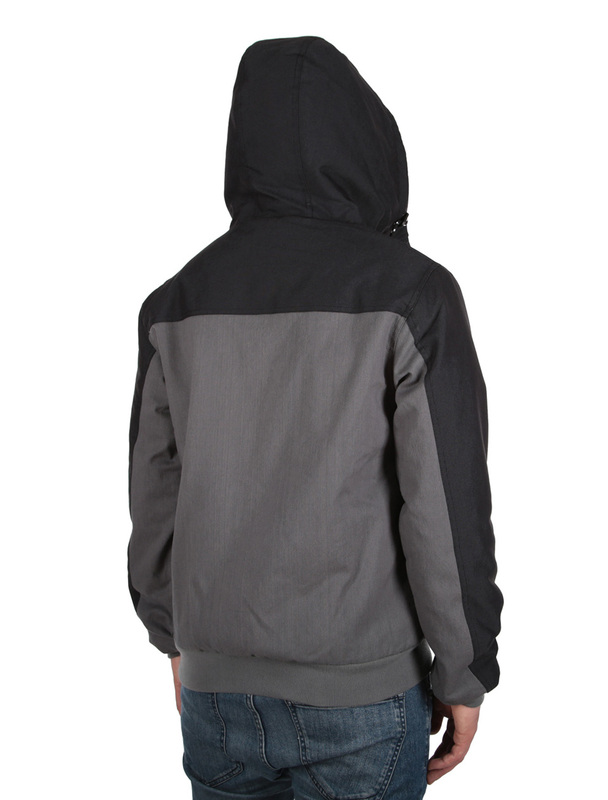 With full zipper and ribbed cuffs on sleeves and hem. Dock 36 becomes the backdrop: Spreeufer for everyone! On the waterfront - Brando style.